The accomplishments of modern India are recognised around the world. 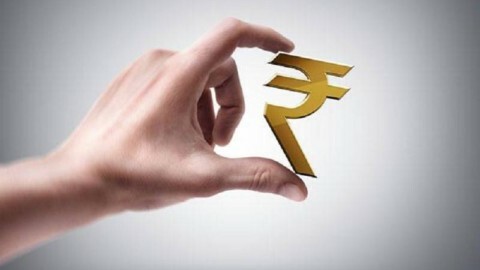 A country that was a symbol of hunger and poverty at the time of Independence and admonished for its Hindu rate of growth during the initial decades has now transformed itself into one of the the fastest growing major economies. These economic achievements are extensive, especially when considering the challenges that arose from following democratic governance after decades of oppressive colonial rule and being a multi-religious secular entity. But the potential for growth remains strong despite some slackening. The societal reach of this economic growth still remains unquantified. There have been efforts to track individual social outcomes such as health, education and safety. For instance, the National University of Educational Planning and Administration and the Government of India (Ministry of Human Resource Development, Department of School Education and Literacy) compute an Educational Development Index for primary and upper primary levels of education that compare States on different aspects on education universalisation. Similarly, NITI Aayog has rolled out the health, education and water index. 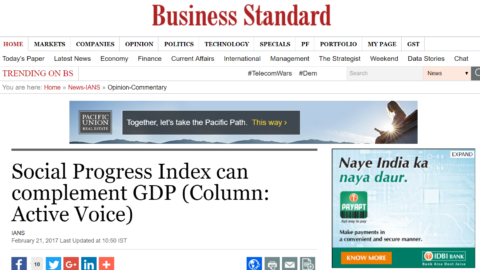 Apart from these individual indices, there have also been efforts to look at progress through the lens of a human development index but that does not isolate the impact of economic growth. A common measure to quantify the social progress of Indian States that can pinpoint the achievements and the challenges is still missing. A Social Progress Index could bridge this gap. We ranked States using social and environmental indicators on the basis of their capability to provide for basic needs such as shelter, water, and sanitation; a foundation for well-being with education, health, and communication facilities; analysing the prejudices that prevail in a region prohibiting people from making their personal decisions; and evaluating whether citizens have personal rights and freedom or whether they are susceptible to child labour, human trafficking, corruption, etc. The study (2005-2016) helps analyse whether States, especially using social and environmental indicators, are heading in the right direction. It is also essential to help adjust policies as well as public and private investments. 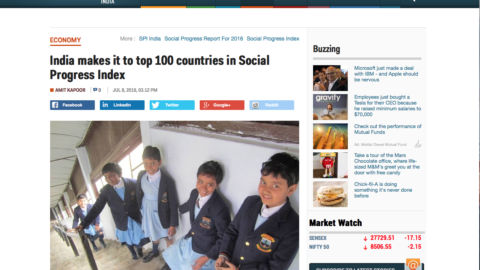 First, the overall social progress score for the country now stands at 57.03 (on a 0-100 scale), approximately eight points higher than in 2005. The country performs better in the provision of basic human needs rather than opportunities for its citizens. Therefore, creation of a society with equal opportunities for all still remains an elusive dream. 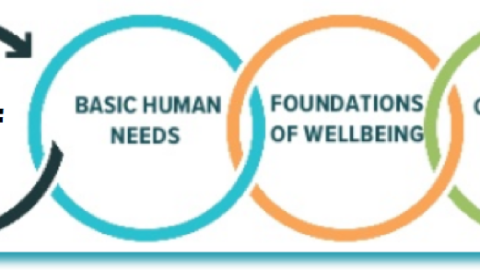 But it is encouraging to note that the scores for opportunity have increased over the years followed by smaller, but important improvements in the areas of basic human needs and foundations of well-being. 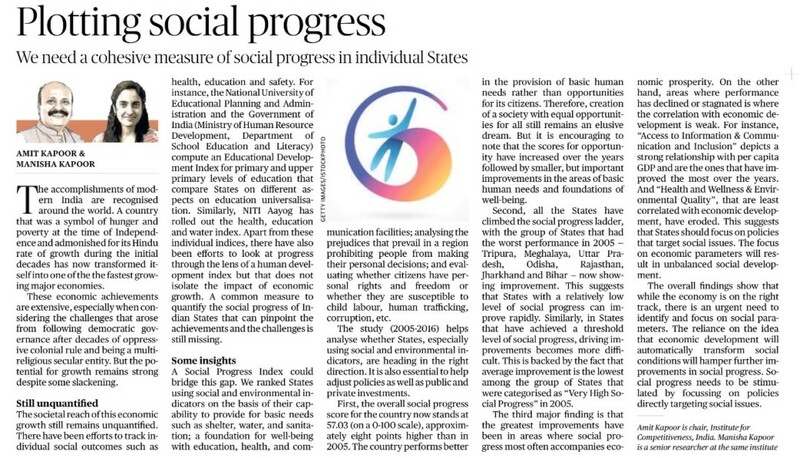 Second, all the States have climbed the social progress ladder, with the group of States that had the worst performance in 2005 — Tripura, Meghalaya, Uttar Pradesh, Odisha, Rajasthan, Jharkhand and Bihar — now showing improvement. This suggests that States with a relatively low level of social progress can improve rapidly. Similarly, in States that have achieved a threshold level of social progress, driving improvements becomes more difficult. This is backed by the fact that average improvement is the lowest among the group of States that were categorised as “Very High Social Progress” in 2005. The third major finding is that the greatest improvements have been in areas where social progress most often accompanies economic prosperity. On the other hand, areas where performance has declined or stagnated is where the correlation with economic development is weak. For instance, “Access to Information & Communication and Inclusion” depicts a strong relationship with per capita GDP and are the ones that have improved the most over the years. And “Health and Wellness & Environmental Quality”, that are least correlated with economic development, have eroded. This suggests that States should focus on policies that target social issues. 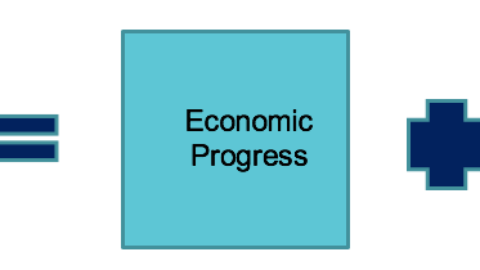 The focus on economic parameters will result in unbalanced social development. The overall findings show that while the economy is on the right track, there is an urgent need to identify and focus on social parameters. 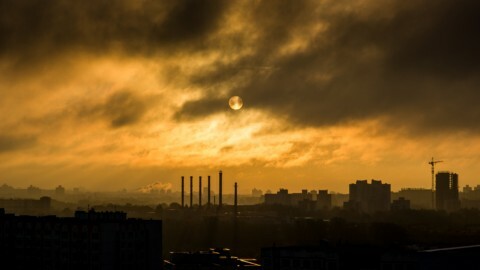 The reliance on the idea that economic development will automatically transform social conditions will hamper further improvements in social progress. Social progress needs to be stimulated by focussing on policies directly targeting social issues. The article was published with The Hindu on November 7, 2017.